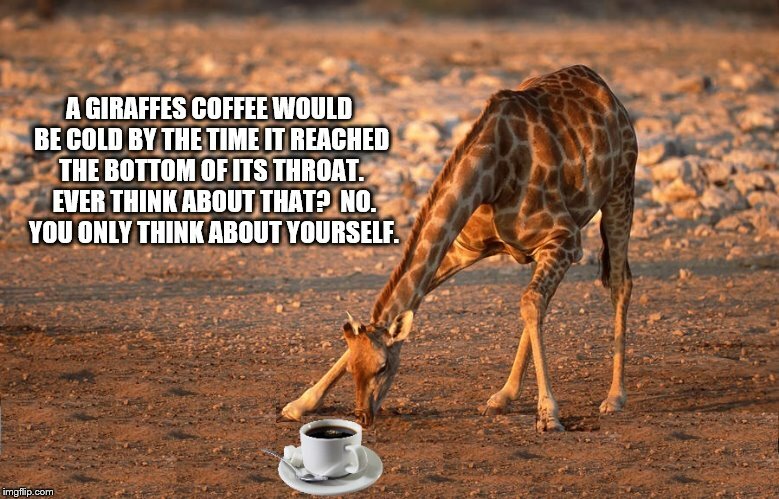 A GIRAFFES COFFEE WOULD BE COLD BY THE TIME IT REACHED THE BOTTOM OF ITS THROAT. EVER THINK ABOUT THAT? NO. YOU ONLY THINK ABOUT YOURSELF.